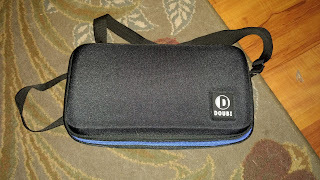 The Nintendo Switch Carrying Case by DOUBI is a great means of bringing your Switch with you when you need some heavy duty protection. The outer shell is waterproof, and feels very sturdy. There is a handy shoulder strap that allows you to carry the case at about hip height as you walk. 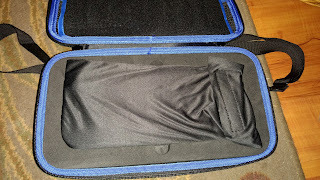 The inside is well padded, and the storage spot for the console itself is cut out of a thick chunk of rubber. There is also a cut-out for the joycon grip (pictured above), so that you can bring it along as well. I haven't quite figured out what the square cutout to the right is for, but you can use it to store other various accessories. Maybe a smaller charge bank, or just store any cords you want in here. I usually just toss the included Switch bag in there when I'm not using it. 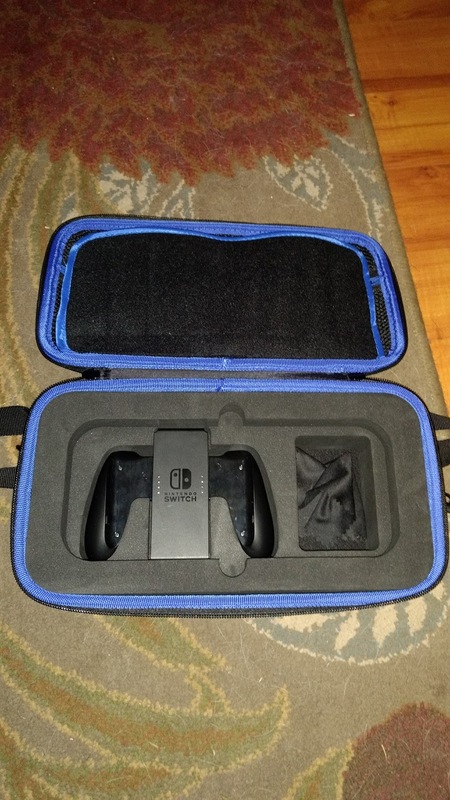 Pictured here is the Switch itself in the included bag. It is a very sheer piece of fabric, more there to possibly protect it from being scratched by the nylon above and the joycon grip below. It is a very snug fit into the cutout, and that itself leads to both of my only complaints with this otherwise amazing protective case. If you're using any kind of sleeves or case on the Switch itself, it will not fit into the case, not even with the DOUBI kit I previously reviewed here. 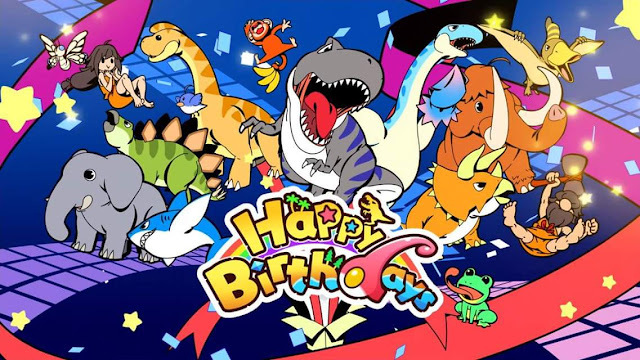 The other issue, which could be a troublesome one, is that the fit is so snug, it will sometimes press down on the volume and power buttons, which makes the screen turn on and runs the battery down. It also makes the switch run hot, due to the thick chunk of rubber and lack of ventilation. The inside top of the case has a zippered nylon pouch. 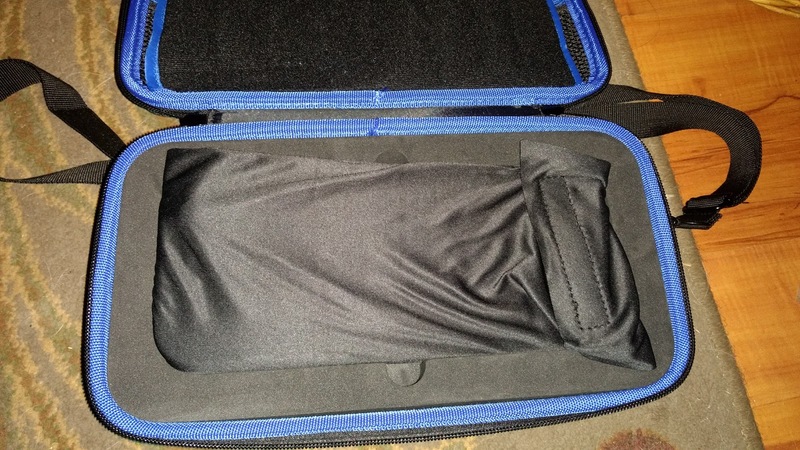 This is spacious enough that you can store your Joycon wrist straps, cords, and possibly a stand or charge bank. There are also 16 slots to carry your game cards with you. 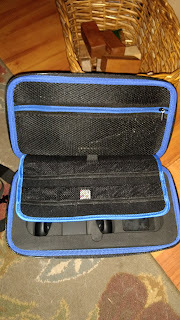 If you need a rugged case that will protect your Switch, even in the event of dropping it on the hard ground from a distance, then I highly recommend this product. I would be careful about making sure that the console is either powered down or placed carefully into the rubber cutout to ensure it doesn't turn on during storage, though. 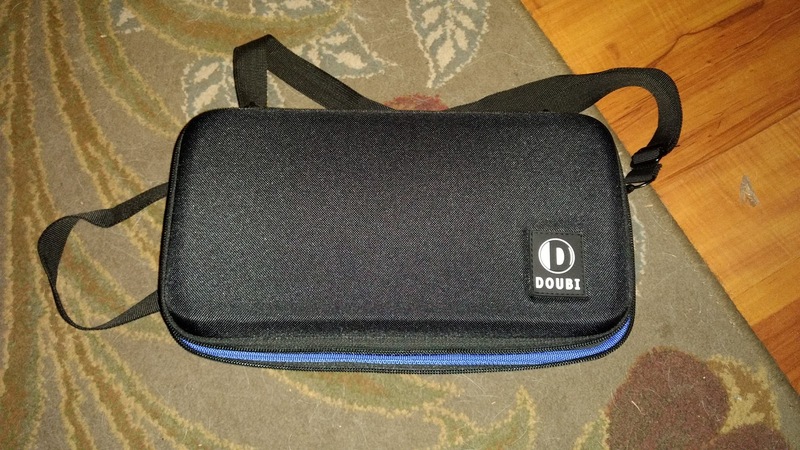 coming soon- DOUBI also makes a pro controller carrying case with a similar build.